​We are pleased to announce same day plumber service and 24 hour plumbing to our clients in Drum Point and all of Southern Maryland! ​​Living in Drum Point, you aren’t really part of the island, but you are kind of your own island. The inlets for boats are a secret and you know when someone is lost in your neighborhood. We know your area and we know how to find our way through the winding roads of neighborhoods within neighborhoods. We are locally owned and operated and we know how much your comfort and the comfort of your neighbors means to you. We value the beauty of the hidden area just as much as you do. When you are in the middle of an emergency, the last thing you want to do is try to explain to some out-of-town company where you live. We aren’t that company. We know exactly where Drum Point is and we will get to you whether we can get across the bridge or have to go north and around. We will rescue you from your emergency and get you back to your normal daily living as quickly as possible. You can ask anyone, including Google, who has the best plumbing services in the area, but we were smart enough to put it in our name. 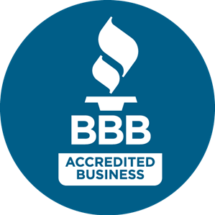 A Better Plumber has better prices, better quality, and better service than the rest of the companies in the area and we were founded with the idea of being able to serve anyone and everyone that called us for help. That is what the best means to us. Gas line installation isn’t quite the same as installing water lines. It requires a more in depth knowledge of gas properties and the types of gas that can be used in a home. Living on this side of the bridge, we are lucky enough to have a new pipeline with natural gasthat is very much cheaper than propane or kerosene, but also a little less stable. You can trust us to put in the right lines for what you want run to your home and make sure there aren’t any leaks or potential leaks. Just like the best plumbing services, the best gas water heaters are often based one someone else’s idea of best or their opinion based on the one and only water heater they own. For you, that may not be the same water heater. If you give us a call and tell us exactly what you need, what you think you are looking and what your budget is, we can tell you what the best one is based on our professional experience and opinions. There is no such thing as the best garbage disposal unless you raise pigs and piranhas. Those two are amazing as making things disappear. But when it comes to a piece of machinery in your sink, you want something reliable, within your budget and easy to maintain. All of those things can be found by calling our office and asking one of our professional plumbers or technicians about what you are looking for. We will also pick it up for you, deliver it to your home and install it. If you are in need of plumbing service in Calvert County do not hesitate to give us a call.